The ease of modern day travel never fails to amaze me. Travelling somewhere by air enables you to move through both time and space at unimaginable speeds and when you reach your final destination, no matter how close or far away, you enter a completely different world to the one in which you departed. I often find this concept mind-boggling. Here’s the most recent example: I left my flat in south east London on a cloudy Wednesday morning in June and just over 24 hours later found myself crammed into a mini-bus full of excited strangers, slowly winding our way towards the Western Tien-Shan mountains in Kyrgyzstan, an 8 hour drive from Osh. Kyrgyzstan is the most accessible nation in Central Asia, being both easy to travel to, and within, compared to neighbouring countries in the region. The government has relaxed visa regulations, allowing free entry on arrival for 44 countries and territories. Kyrgyzstan has stayed off the tourist radar due to historical instability but now things are peaceful and the country’s inhabitants are welcoming tourists to experience their beautiful country. 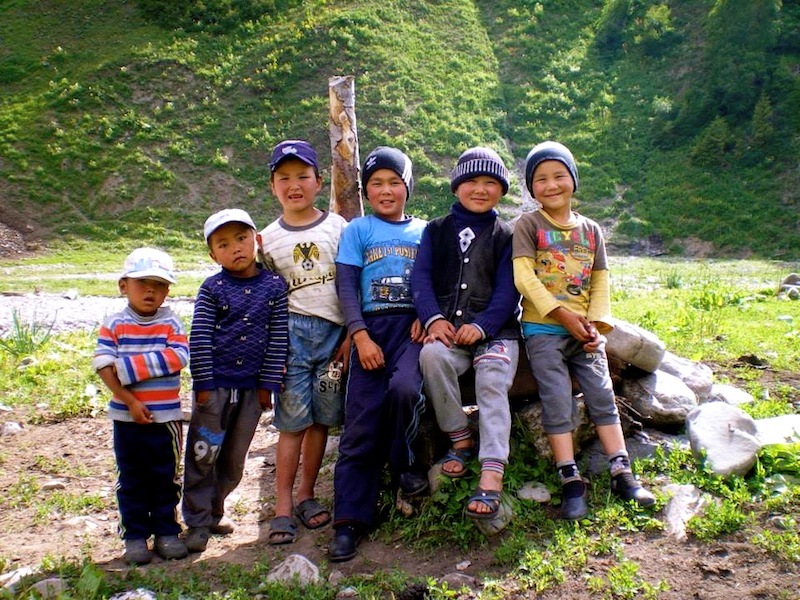 The recent innovation of Community Based Tourism (CBT) not only lends itself to affordable and well organised travel but also means experiencing local Kyrgyz culture is amazingly easy. Additionally, there is no risk of dengue fever, malaria or yellow fever. I had no pre-conceived ideas of what to expect prior to the trek; other than it was meant to be a brilliant way to access the mountains, appreciate a remote and beautiful environment and, if I was lucky, to see a yurt or two. Venturing into uncharted territory, with very little geographical and political awareness of the country, made it a very thrilling lead up to the trip. It even took me a couple of weeks to master the spelling of Kyrgyzstan! Despite that, I was excited about going on a new adventure, experiencing a different culture, going on a high altitude trek for the first time in my life, and hopefully making a few friends along the way. In a country where almost 95% of the land is mountainous and the vast majority of attractions are at high altitudes, the best way to see it is via a high altitude trek. 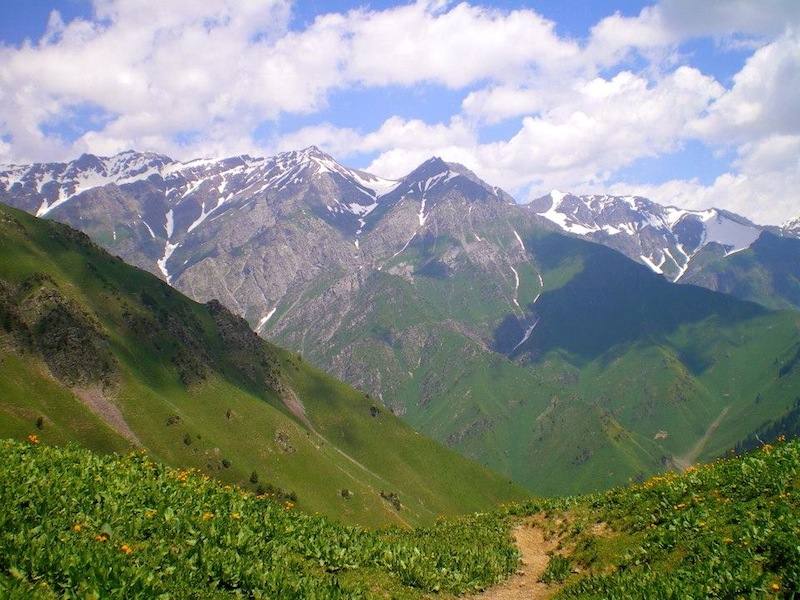 Sary-Chelek is designated a UNESCO Biosphere Reserve and was created in 1959 to preserve the flora and fauna of the walnut-fruit forests and alpine landscapes. It is characterised by unspoilt mountainscapes and offers a unique connection with nature. 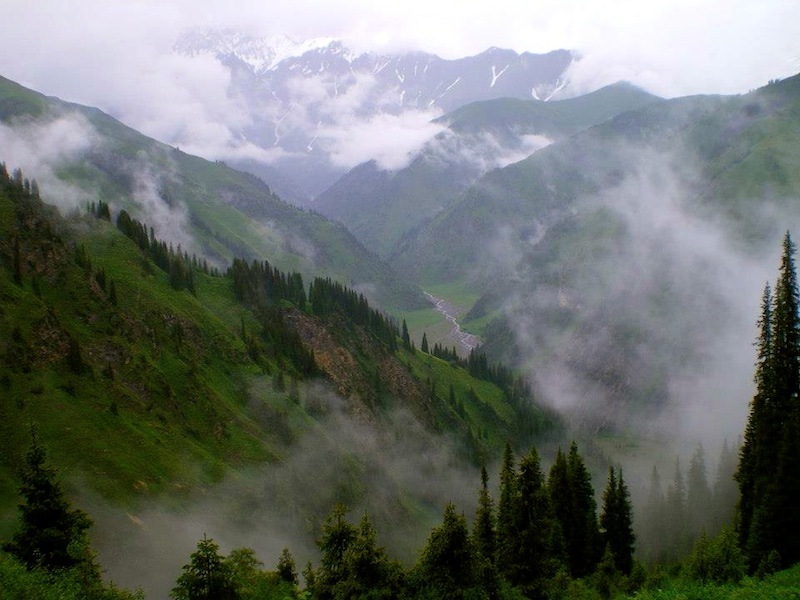 Trekking over high altitude passes allows complete appreciation of the wonderful Alpine vistas. No wonder Kyrgyzstan is often descried as ‘The Switzerland of Central Asia’. Trekking was centred on Lake Sary-Chelek; a beautiful azure blue body of water, surrounded by snow-topped mountains at an elevation of 1878m and with an impenetrable depth of 234m. Described as ‘easy walking suitable for families’, the trek involves some steep inclines in places so being physically fit is important and investing in some trekking poles is recommended. The guides set a steady pace, ensuring we stopped regularly to enjoy the scenery, rehydrate and eat healthy snacks to keep our energy levels up. Although walking was the main activity on offer, there were also plenty of opportunities to rest, socialise with fellow trekkers and get involved with other activities such as horse riding, swimming, reading, taking photographs of the breath-taking scenery, and cooking masterclasses. Kyrgyz cuisine is heavily influenced by Russian flavours, but also by the nomadic way of life and requirement to preserve products for an extended time. Mutton, beef, goat and horse meat is common, with pork being off the menu due to the country’s Islamic roots. We had the opportunity to try a traditional kebab (shashlik), local honey, fresh fish caught from the lake, and fermented mare’s milk (kumis) which is the Kyrgyz drink of choice! It can get very cold in the mountains during the winter, so the best time to visit for trekking is between June and September, although the temperatures can be very hot in July and August and this can cause the vegetation to become scorched and yellow towards the end of summer. In my opinion June was ideal; offering plenty of sunshine, but not yet uncomfortably hot, with some rain showers to keep the vegetation lush. Snow-topped mountains were visible in every direction and we even walked over remains of snow-melt along some valleys at higher altitudes. Kyrgyzstan is simply stunning. So many parts are barely explored, catalogued, or photographed. Venturing to the more remote parts of the country like the Western Tien-Shan Mountains offers a real disconnect from modern civilised life and, for me, the perfect break from modern technology and the stresses of big city life back home. The locals are extremely warm and welcoming people, often inviting you into their traditional Kyrgyz yurt, to drink tea and sample home-made foods. It was this opportunity to quietly observe local cultures and experience the warmth and welcoming nature of local Kyrygz people, which really brought the experience to life.